I love EPP (English Paper Piecing) because it’s sociable! You can sit with the family in the evenings, watching TV, sewing away. 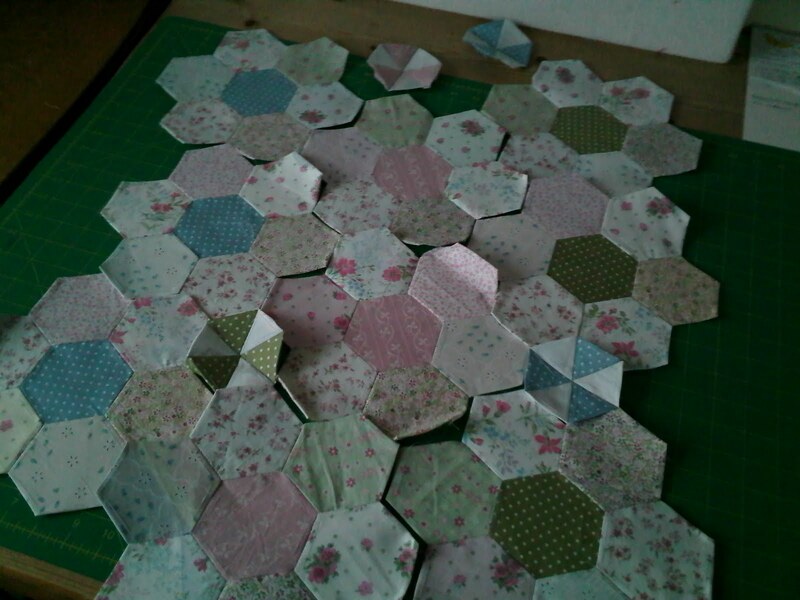 This is what I did this week on holiday – growing my hexie collection (as inspired by Lily’s Quilts Hex-a-Long). I’ve done my usual thing of not planning out a design in advance, and just going with the flow. Well the flow has stopped! 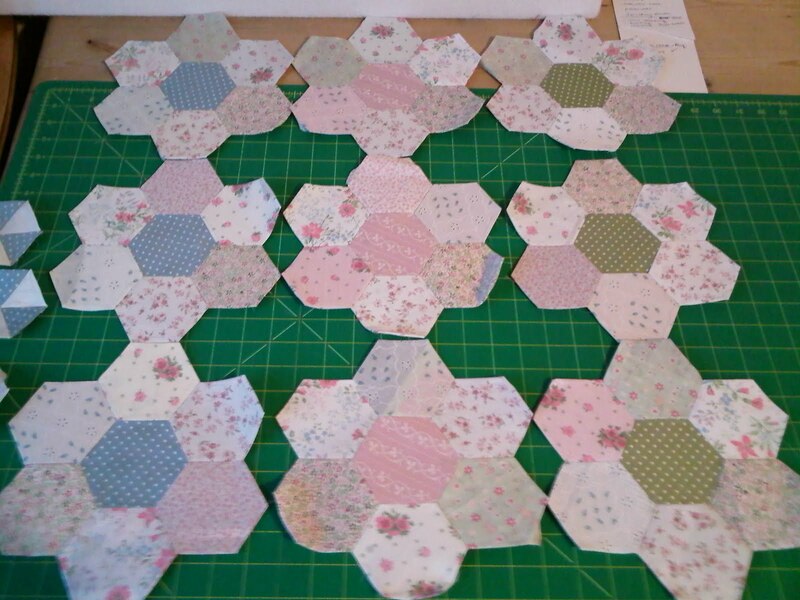 I’m not liking the floral shapes the hexies are making, nor my ‘filler’ hexies. While I choose vintagey fabrics, I didn’t especially want a traditional design. I don’t even know what I’m going to turn these into – a cushion, a quilt? 1. Unpick the hexies and resew them into a more modern shape e.g. pyramids, giant hexie? 2. Stick with what I have, add a few more & make a cot size quilt? 3. Abandon all hexies made so far, and start again, making a few more intricate hexies (as seen on flickr) which could then adorn a cushion front?